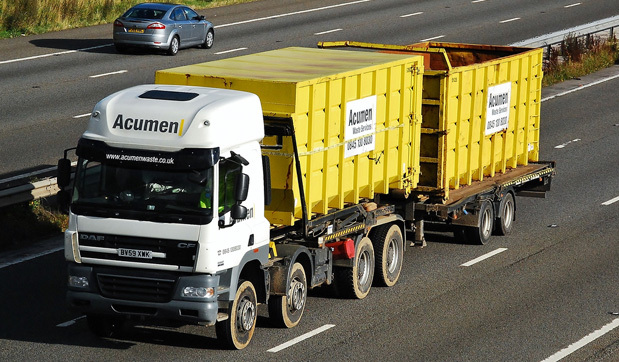 Acumen provide a modern fleet of hook lift vehicles and associated containers ranging from 20 to 35 cubic yards on a haulage only basis. All our drivers are CPC and ADR trained whilst being fully qualified to deal with the product they are transporting. All our drivers are trained to the highest health and safety standards and equipped with the appropriate PPE. 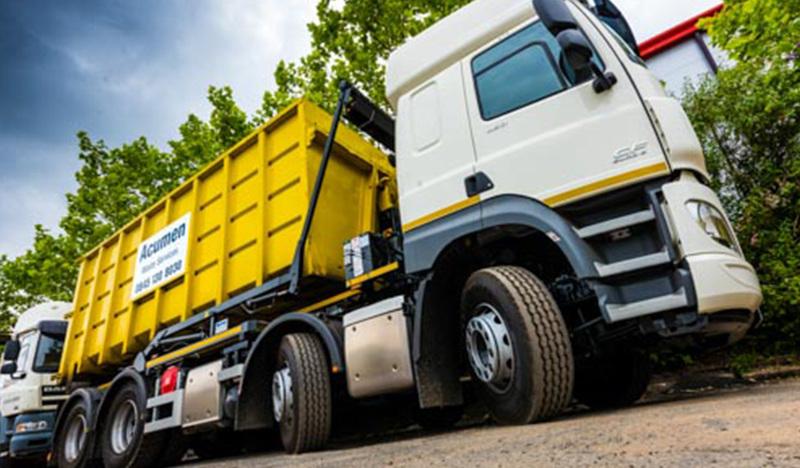 Our vehicles are strategically located throughout the UK and are equipped with trailers so they can transport two containers per vehicle when needed. 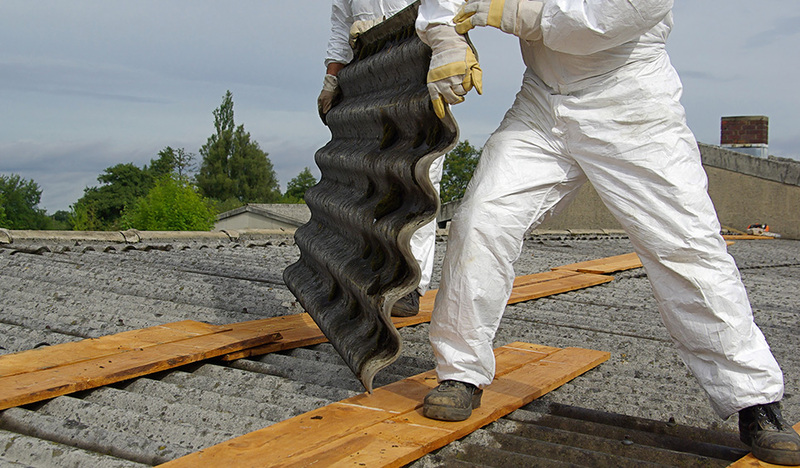 This policy also mitigates the risk associated with handling, transferring and bulking of asbestos containing materials (ACMs) at intermediate locations and creates an entirely transparent audit trial for each individual waste collection.